Sometimes a renovation can be a revelation. 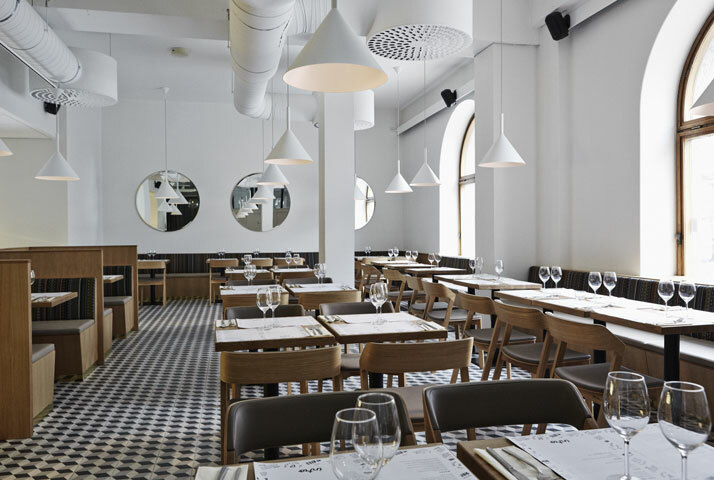 One of the best examples of one such revelation can be witnessed in Helsinki-based Joanna Laajisto Creative Studio’s renovation of the classic Finnish restaurant Intro. It can’t fail to make you not only fall in love with great Scandinavian design but be highly tempted to take a trip to stunning Finland. 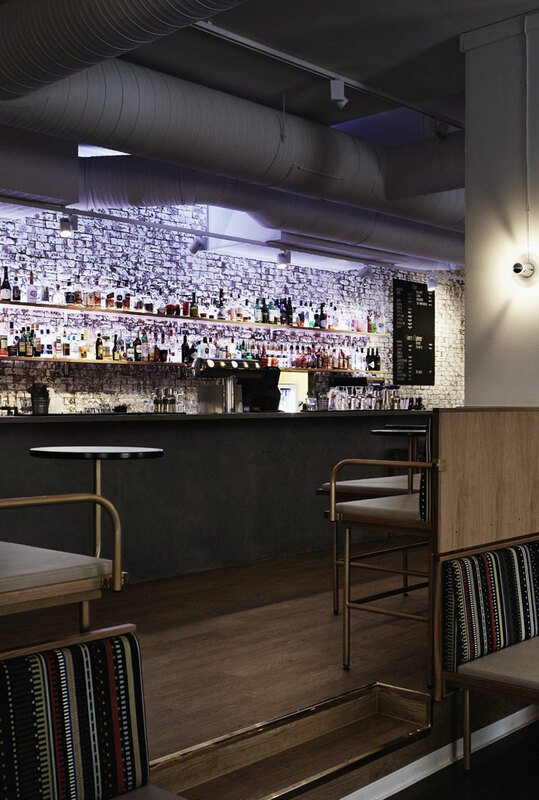 A classic venue located in the city of Kuopio, the impressive 450 square feet space includes fifty seats on one side and a nightclub of equal size on the other. Unwrapped in September, it’s a package that has been making endless eyes twinkle ever since. 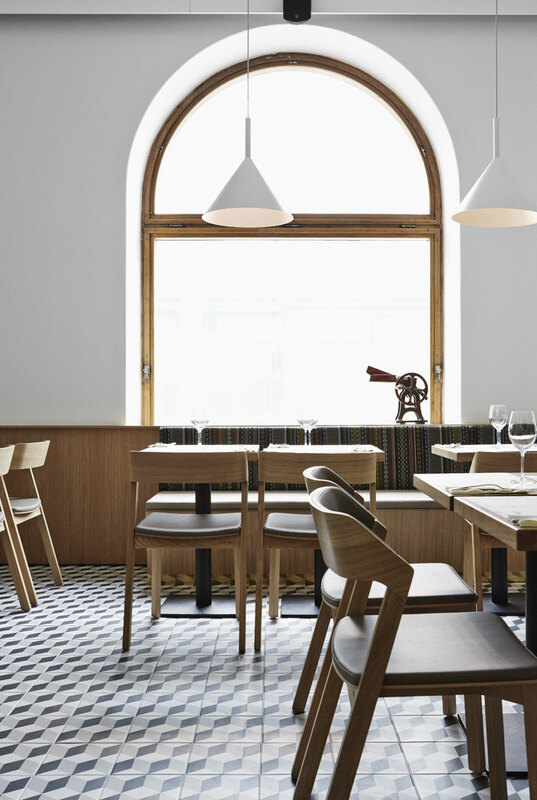 In an interior that epitomises that subtle sophistication we have come to expect from Nordic design, Laajisto’s focus appears to have been on creating a space that is inviting. And the key to this is in the abundance of amazing details. At first glance, this design seems very simple (and fresh as a result) but don’t let first impressions deceive you. In fact, this is a project that screams of quality, with so many details that are a joy to encounter as you get to know the new Intro better. 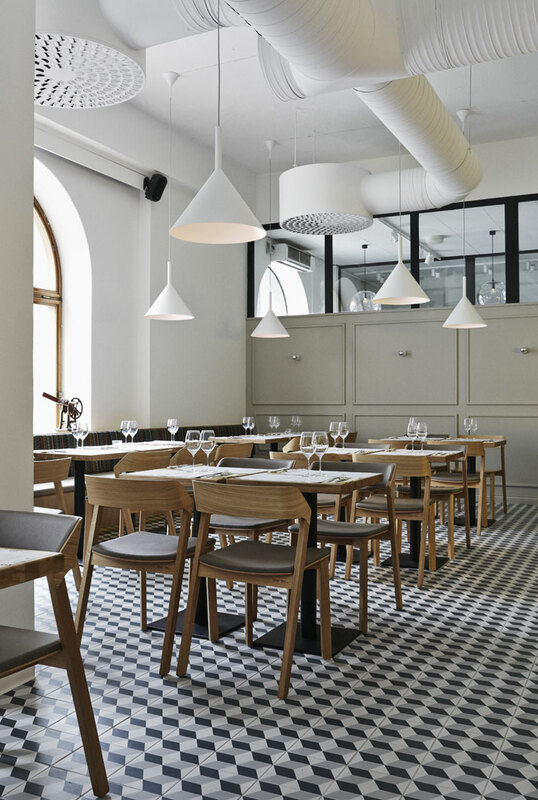 The white walls and matching lamps - called Funnel by the small Slovenian company Vertigo Bird - encourage the eye to scan downwards and take in that striking monochromatic geometric floor, which although bold, seems to pull the overall design together. 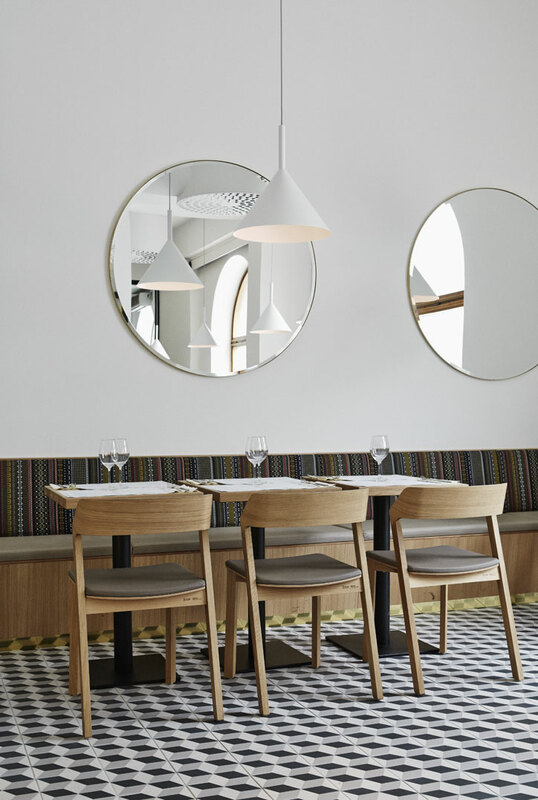 The huge circular mirrors make the space look even lighter and airier, whilst the furnishings offer a subtle use of colour amongst an otherwise neutral palette seen in the barstool and lounges, covered in a woven Kvadrat wool fabric by iconic British designer Paul Smith. 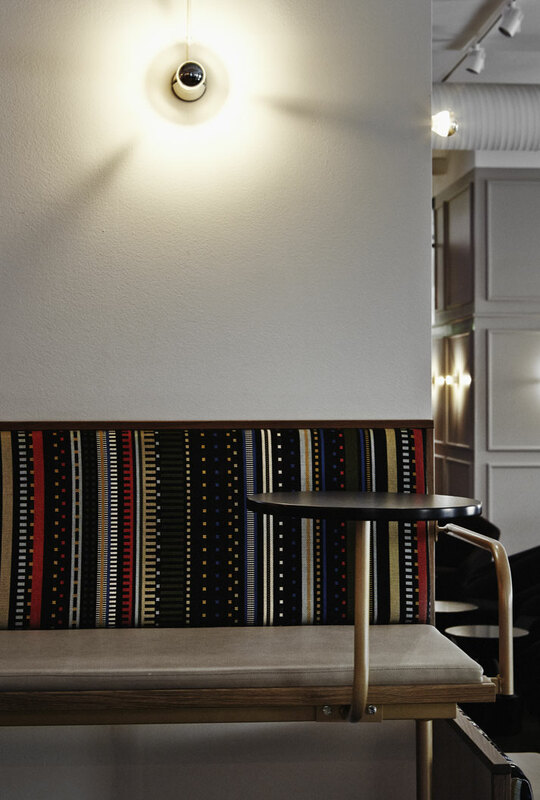 Other seating incorporates metal and wood, thus tying in with the inclusion of raw materials throughout the design. 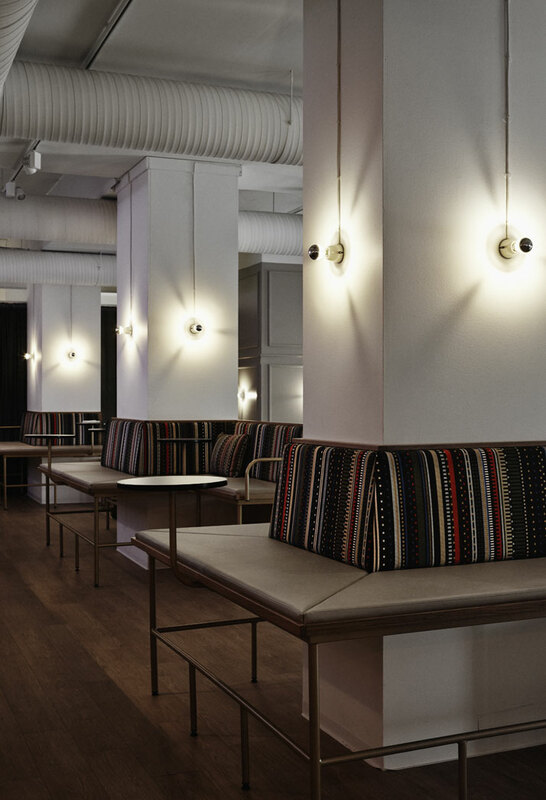 Most of the furniture has been custom made for the space and the beautiful complimentary chairs are from Ton. Everything at Intro screams of style and quality. photo © Joanna Laajisto Creative Studio. This design is just so clever that it is impossible not to emphasise the level of detail seen in the eye-catching superb red lamps suspended above the counter and the bar which has cleverly been raised to give it more of a presence. 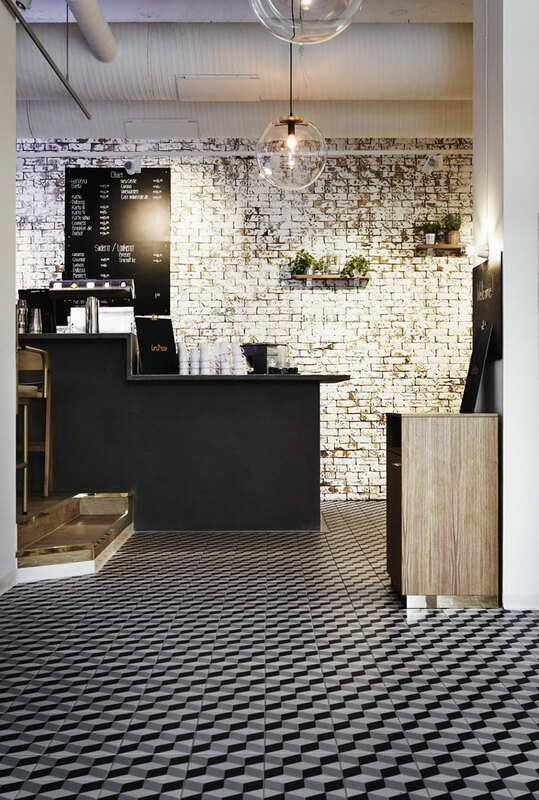 The dominant 11 meter solid concrete bar sits by the entrance and adds a strong industrial component, which again goes towards emphasising the quality and modernity of this interior design. 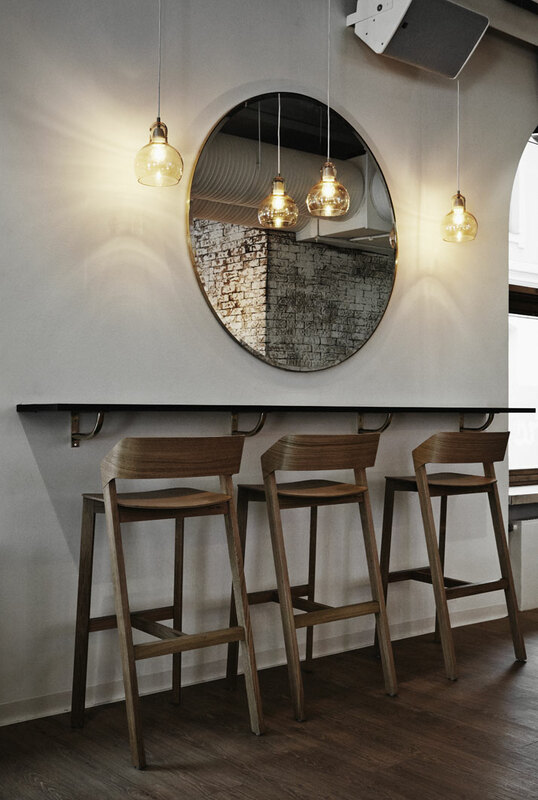 By being raised, it accentuates the views from the bar counter over the rest of the space. Here a sense of calm washes over you as you encounter a design that uses both natural and industrial materials creating an atmosphere that is better suited to a soundtrack by hip Scandinavia electro-tinged pop than death metal. The custom designed lounge area has been ingeniously installed to act as a divider between the spaces. 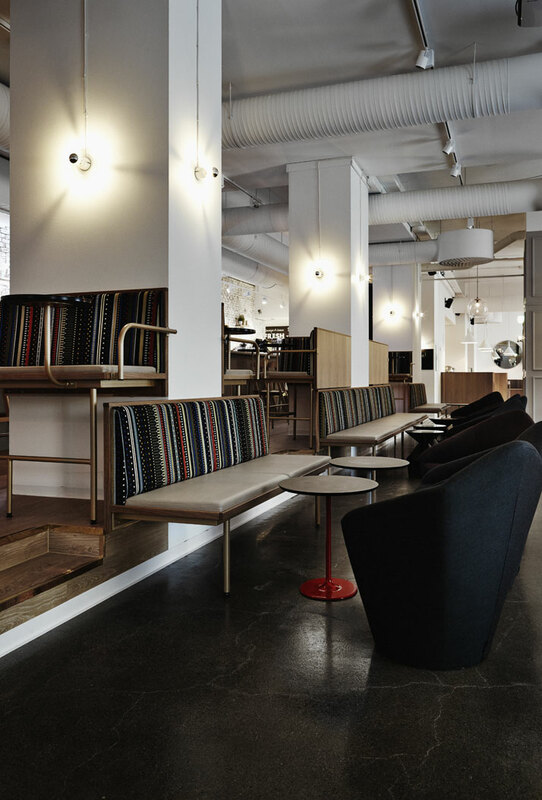 The abundance of soft welcoming seating with rotating bases by Viccarbe cries out to be reclined upon. Luxuriously comfortable, a focal point in the space is a large custom sofa that is anchored by a cluster of Selene pendant lights by Classicon. 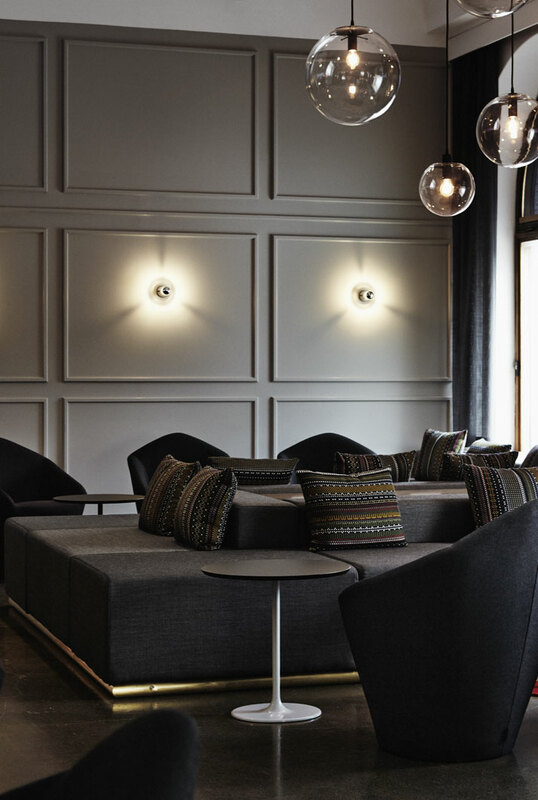 The atmosphere is so chic and serene that it would be impossible not to enjoy a drink here. 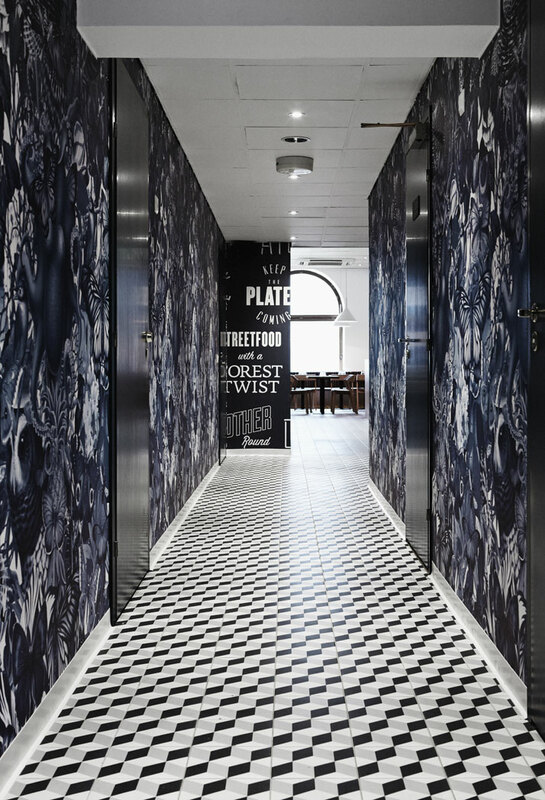 The enjoyment level is further enhanced by the strong ‘fable’ themed wall design by Sebastian Hurmerinta, making the walk to the restrooms feel like a fun adventure. This is a surprising inclusion as it is bold in contrast with the more pared back design elsewhere and a welcome added element of fun. There’s just so much to take in as you relax at Intro. The new Intro has been blessed by a design that is like a huge sigh of contentment and could not be a better example of simple high quality Scandinavian design. Finland now has an attraction that’s a manmade way to induce gasps away from the northern lights.